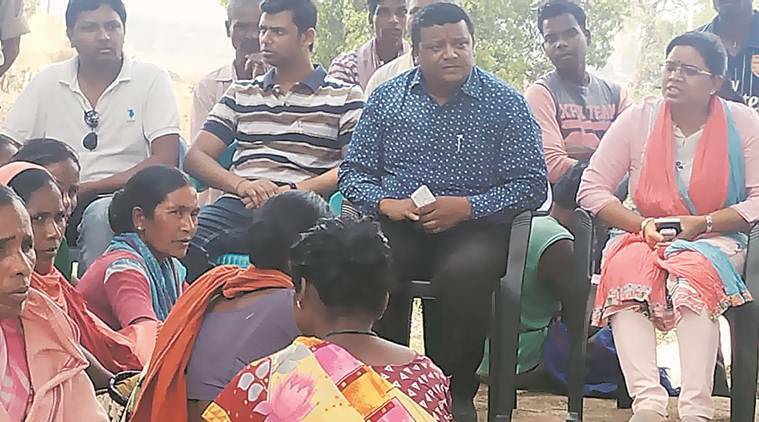 At Jhurmo, where almost half the residents are tribal Christians engaged in farming, an uneasy quiet prevailed after the murder. On Friday afternoon, Circle Officer Yunika Sharma met Lakra’s wife Jermine Lakra. “Do not be scared. Arrests are being made. Tomorrow is Ramnavmi so I cannot give you the names of those arrested,” Sharma told Jermine. At Jairagi village, few villagers are ready to speak. Security personnel sat in the market which remained shut Friday. A primary school teacher who frequents Jairagi said: “Incidents like this have now reached the village level. This was a peaceful area and never had any history of violence or any tension. Politicians seldom made visits and people have never killed or fought with anyone in the name of the cow.